There are many roads you can take along your training journey, but the first one you take is most important. Are you ready to start your training program out on the right track? Not all training is created equal and our Curriculum roadmap will help you identify and navigate the many variables that are unique to your company and training program. Provide organizations with the framework for building a comprehensive training program that targets employees while also identifying special needs and topics. Suggest the best approach for teaching the identified topics. Identify the modality for conducting the training. 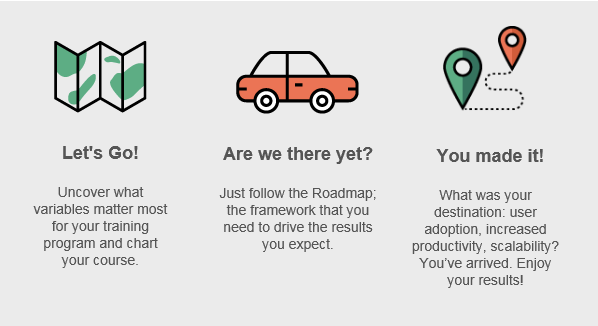 Fill out the form today to learn about how to start your road map, and get on your way to mapping out a training program that meets the unique needs of your organization.